A wild man and genius becomes a master painter's disciple, but loses his divine gift when he finds love. National Film Registry Adds 25. How Many Have You Seen? A society woman believes her husband is having an affair, a misconception which may have dire personal consequences for all involved. A young American has her ship torpedoed by a German U-boat but makes it back to ancestral home in France, where she witnesses German brutality firsthand. A District Attorney's outspoken stand on abortion gets him in trouble with the local community. A German-American naval officer takes revenge against the German submarine commander who brutalized his wife. In the wayward western town known as Hell's Hinges, a local tough guy is reformed by the faith of a good woman. 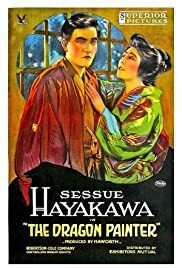 A mentally disturbed artist (Sessue Hayakawa), from the mountains of Japan, is convinced that his fiancee, a beautiful princess, has been captured and turned into a dragon. 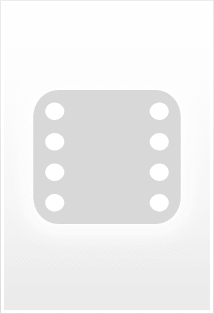 His obsession with his fictitious loss, leads to his artistic inspiration. It isn't until a young surveyor, (Toyo Fujita) comes across some of Tatsu's artwork, that his genius is discovered. The surveyor then informs the famous artist, Kano Indara about his discovery, who immediately agrees to meet Tatsu. Indara, his daughter Ume-Ko, and Undobuchida soon realise that they cannot persuade Tetsu to come down from the mountains to further his talent as an artist, without a ploy. Ume-Ko consequently dresses up as a Princess, and the promise of Tatsu being re-united with his long lost love, lures him into Kano Indara's house. Of course, the family realises that Tatsu has a lot of uncivilized and crazy habits which he needs to get rid of, if he is going to fit into civilized Japanese society. Overall, the movie is a very sweet and interesting piece. There is great use of color-tinting throughout the film, which perfectly reflects the mood and theme. Hayakawa does an awesome job at playing a madman- a good combination of dramatic and comical acting. Although it is not the best silent movie I've ever seen, it is definitely worth watching. It's a lovely little fairy tale which puts a smile on your face!